This course explores non-traditional and process-based ways of using clay for making sculpture. Students will work from the starting point that there is no right or wrong way of building with clay, and instead embrace the idea of working with clay as a way to explore the world we live in. 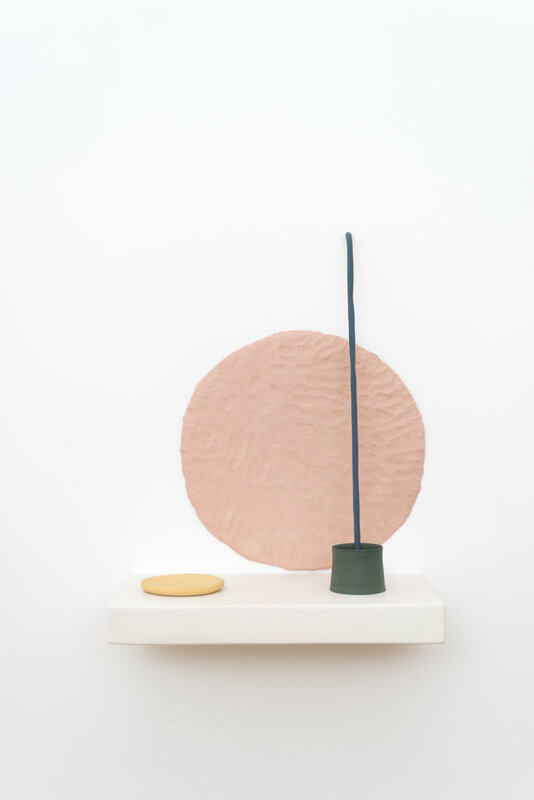 We will be looking at a range of artists who engage experimental methodologies alongside deeply personal explorations in their creation of ceramic sculpture, including Kathy Butterly, Simone Leigh, and Sterling Ruby. We will also be reading texts including The Hysterical Material by Geof Oppenheimer, Ten Thousand Years of Pottery by Emmanuel Cooper, and Seeing Things by Alison Britton. Through these examples we will begin to understand how clay can be utilized as a medium to make sense of who we are and where we live. Students will embrace the idea of sculpture in its broadest sense, including both the formal and performative aspects of firing and working with clay. Students interested in participating in this workshop should be open to experimentation and un-programmed exploration. Students should expect to produce a body of work consisting of at least 3-5 finished pieces during the course which be presented and discussed in a final course critique. This is not a class for refining what you already know how to do, but a chance to find new ways of working with clay. Marie Herwald Hermann received her MFA from the Royal College of Art in London in 2009. Since then, she has exhibited extensively and widely. In 2018, her solo exhibitions included Bit by bit above the edge of things, Paris London Hong Kong, Chicago in 2017, Shields and the Parergon at Reyes Projects in Birmingham, MI and dusk turned dawn at Blackthorn at NADA, Miami. In 2016 she presented ‘Northern Light, Pontiac Rise’ at Galerie Nec in Paris and ‘A Gentle Blow to the Rock’ at Gallerie NeC in Hong Kong. She has also presented installations in numerous group exhibitions in the US, Denmark, Italy, China, Sweden and Germany. Her work is held in the collections of the Danish Art Foundation, the Denver Art Museum, the Servre Museum, Nordenfjeldske Kunstindustrimuseum, the Cranbrook Art Museum, the Jingdezhen Ceramic Art Museum and the Rothschild Collection. In 2013 she was awarded the Kresge Artist Fellowship, the Danish Art Foundation grant in 2009 and 2016, and the Annie and Otto Johs. Detlefs’ grant for young experimental ceramic artists in 2010. Hermann was born in Copenhagen and lives and works in Chicago and is an Assistant Professor at SAIC. Anders Ruhwald (born 1974, Denmark) is a sculptor and installation artist whose practice is grounded in ceramics. He lives and works between Detroit and Chicago and received his MFA from the Royal College of Art in London in 2005. Solo exhibitions include Unit 1: 3583 Dubois at MOCA Cleveland in 2017 more than 30 gallery and museum solo-shows as well as more than 100 group-exhibitions around the world. His work is represented in over 20 public collections including The Victoria and Albert Museum (UK), The Philadelphia Museum of Art, The Denver Art Museum, The National Museum (Sweden) and The Museum of Art and Design (Denmark), From 2008-2017 he was the Head of the Ceramics Department at Cranbrook Academy of Art. Currently he is a Visiting Professor at the National Academy of Arts in Oslo, Norway.